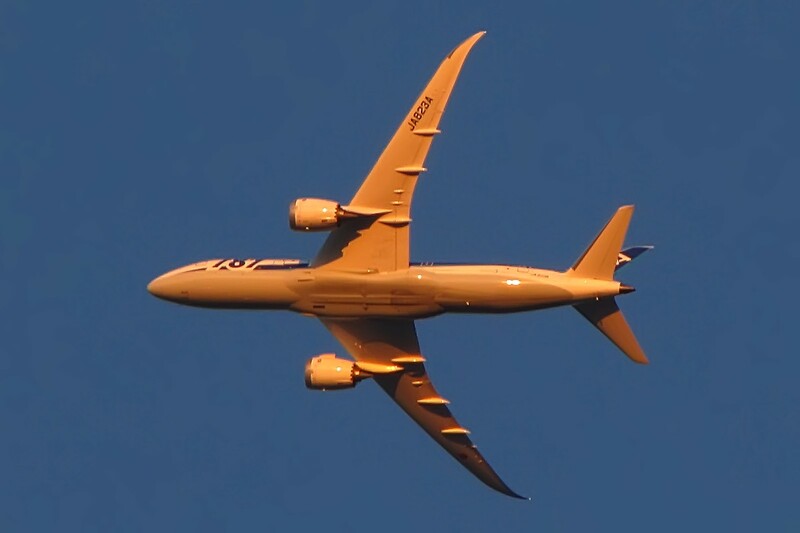 after the first photo, I got this belly shot of the Dreamliner. 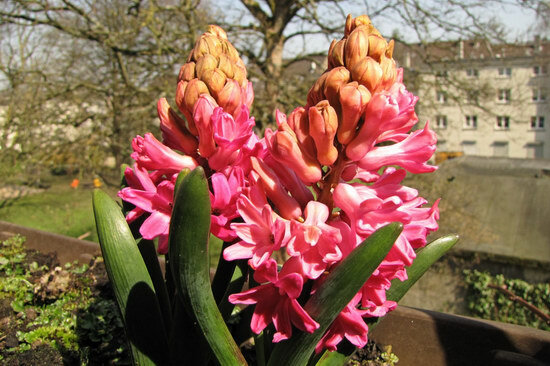 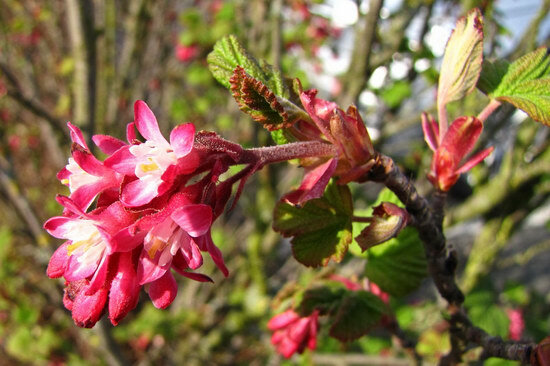 Here’s our famous supermarket parking lot flower, the Flowering Currant! 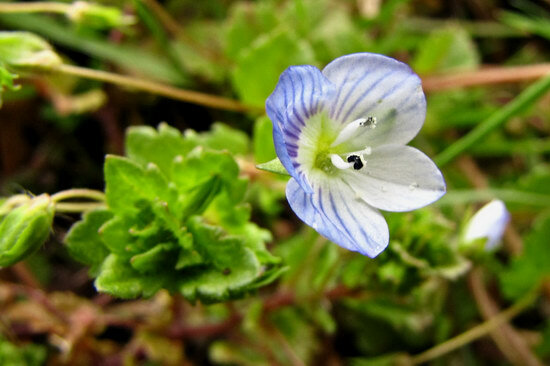 Small and blue, I think this might be a Speedwell blossom! 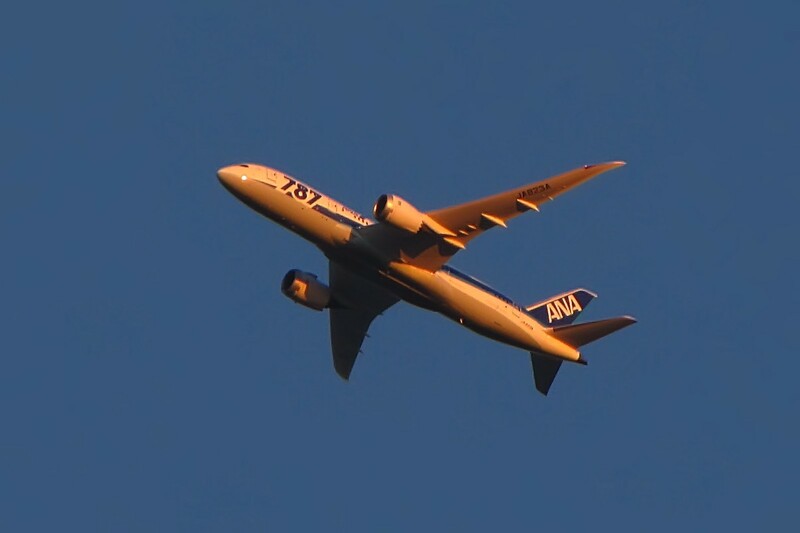 ANA’s Boeing 787 was a bit late today, but the result was a plane bathed in the golden setting sun!